Brand new construction! 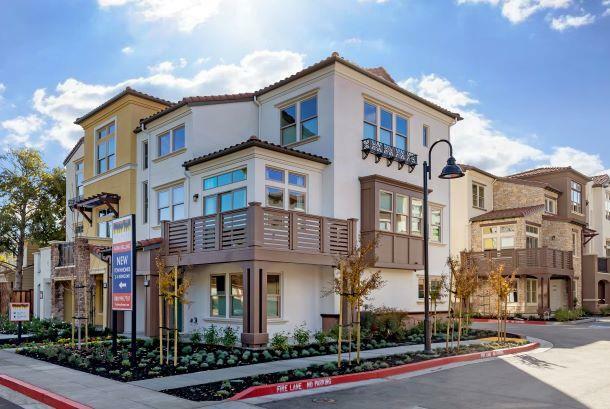 Palmero is a boutique collection of new townhomes nestled in an established Mountain View neighborhood. This three-story, Plan C, home is spacious and bright with 3 bedrooms and 3.5 baths, including a street-level bedroom. This highly desirable corner unit features high ceilings and an open floor plan. Including a large kitchen with a pantry and island that seats 5 people and is perfect for entertaining! Buyers can select flooring, countertops, & builder options. Estimated move-in is April/May, 2019. This community is just an 8 min bike ride to Google! Just around the corner from cafes and restaurants, and down the block from Permanente Creek Trail. Freeway access to all of Silicon Valley is close as well as Caltrain for an easy commute option! Agents must accompany clients on their first visit to community. Don't miss this opportunity to own at Palmero! Photos are of Model Home.